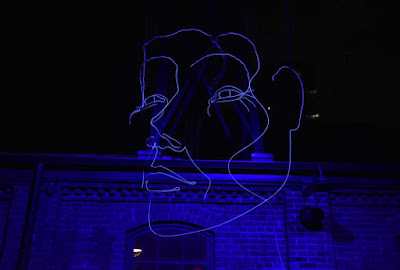 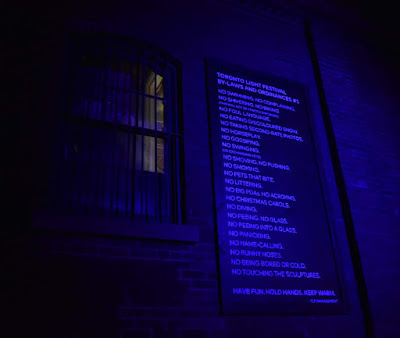 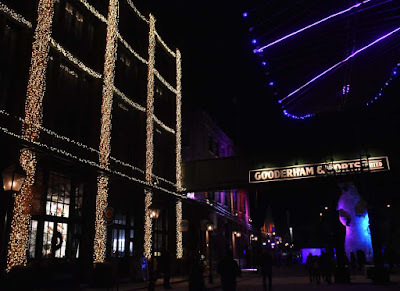 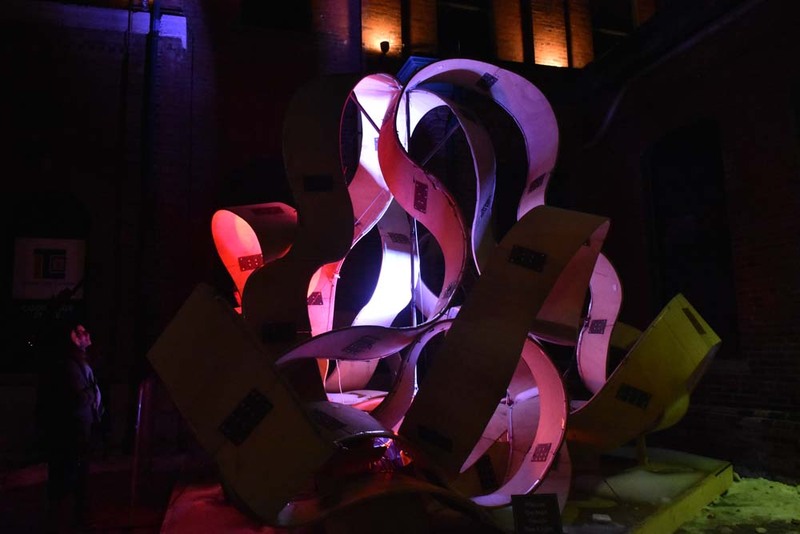 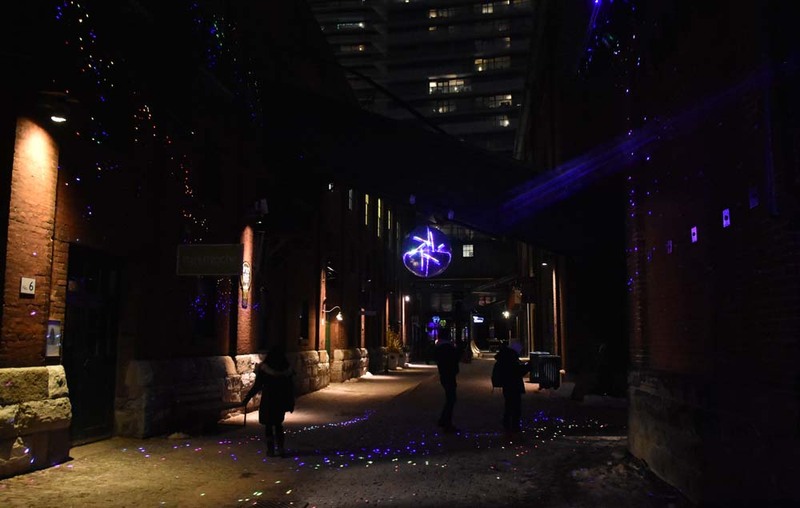 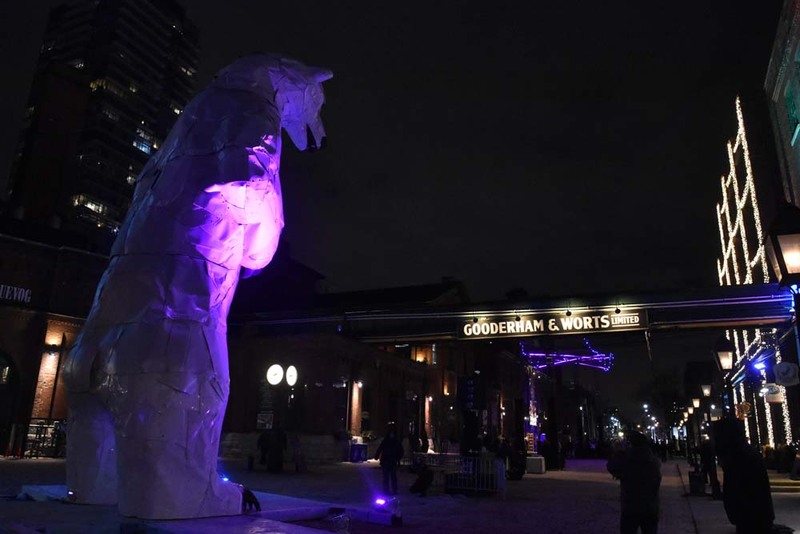 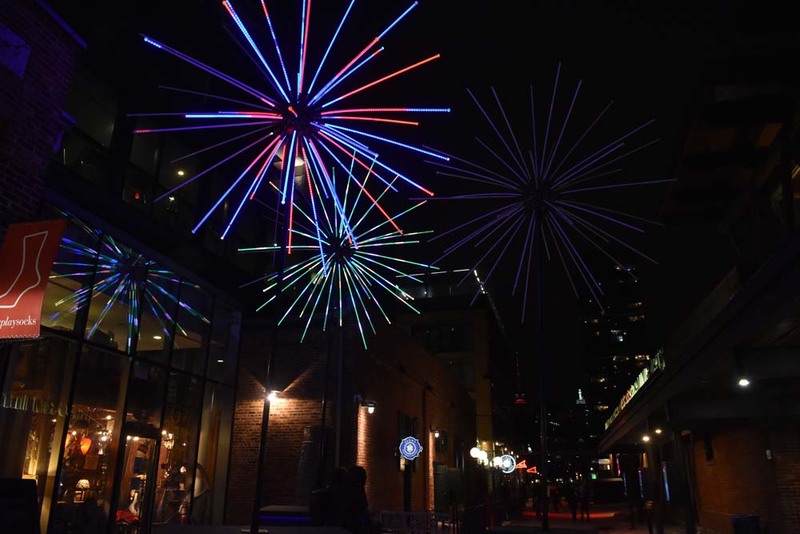 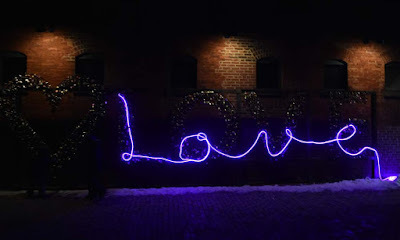 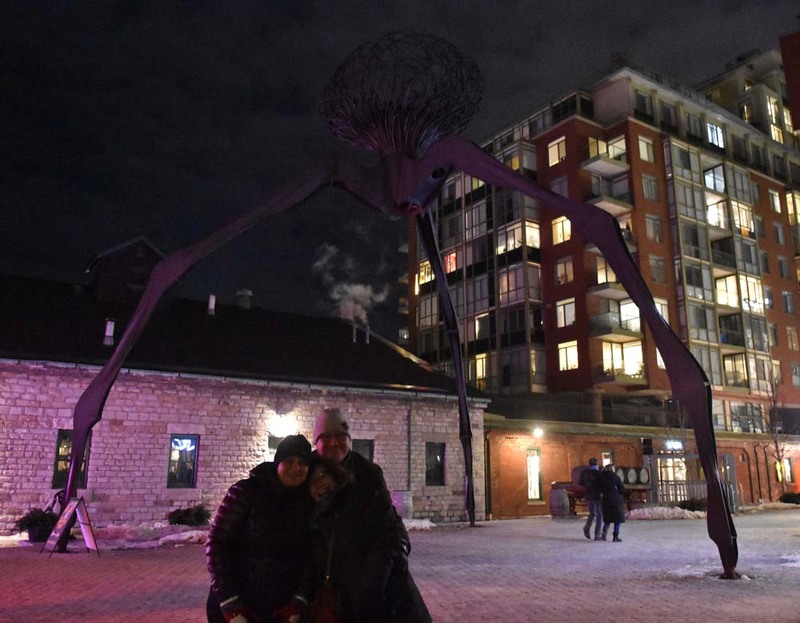 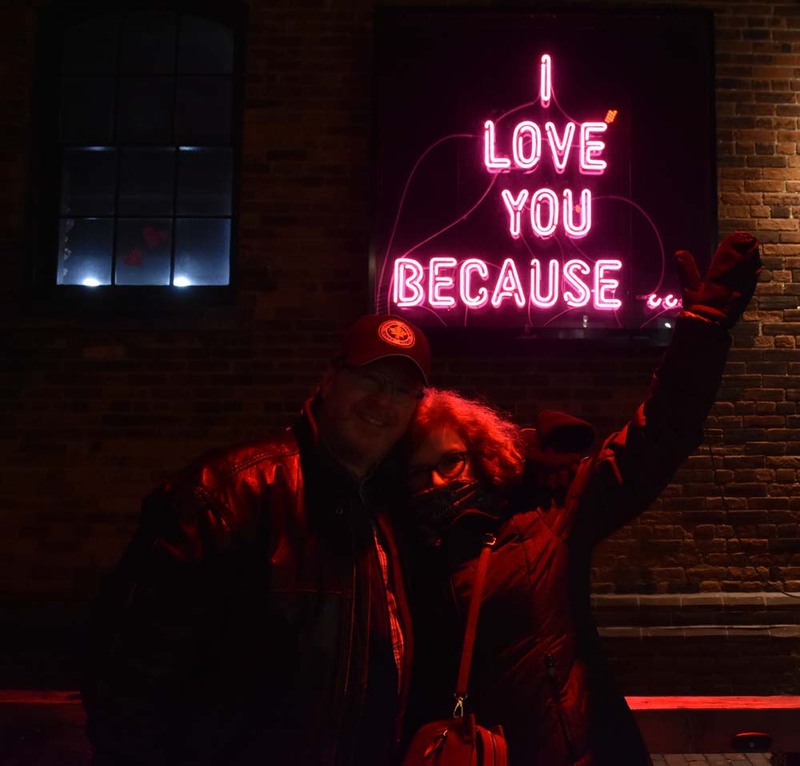 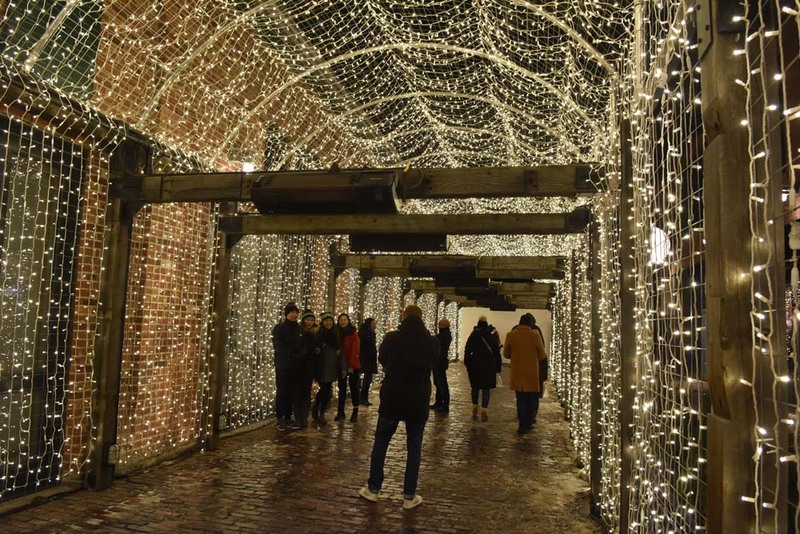 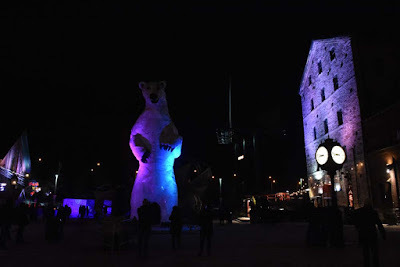 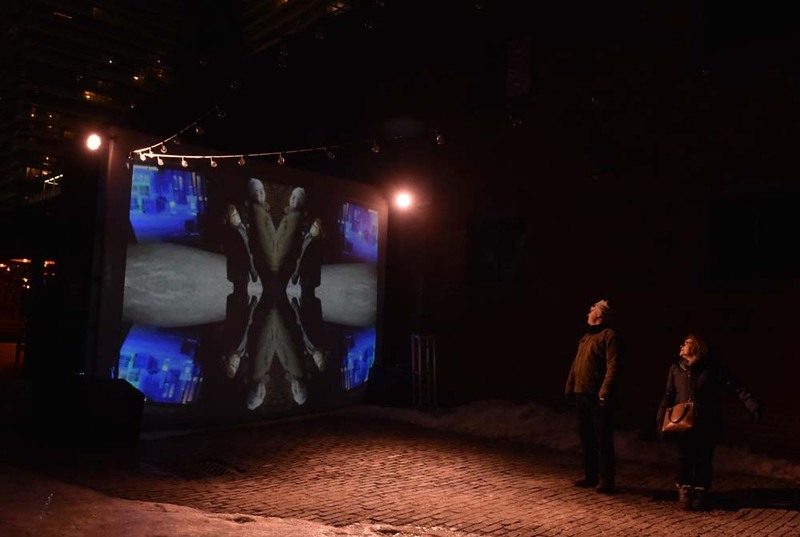 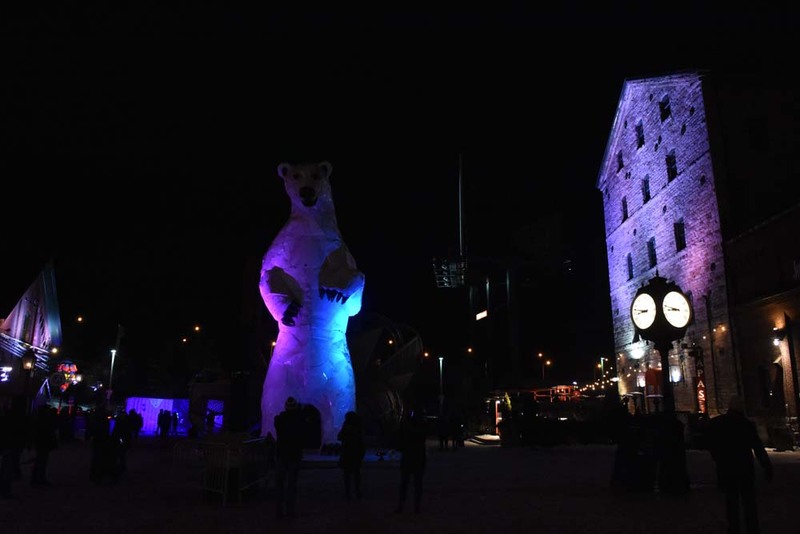 On a clear night you can see the glow of #TOlightFest from miles away so it is time to take in the light art that is illuminating the historic Distillery District. 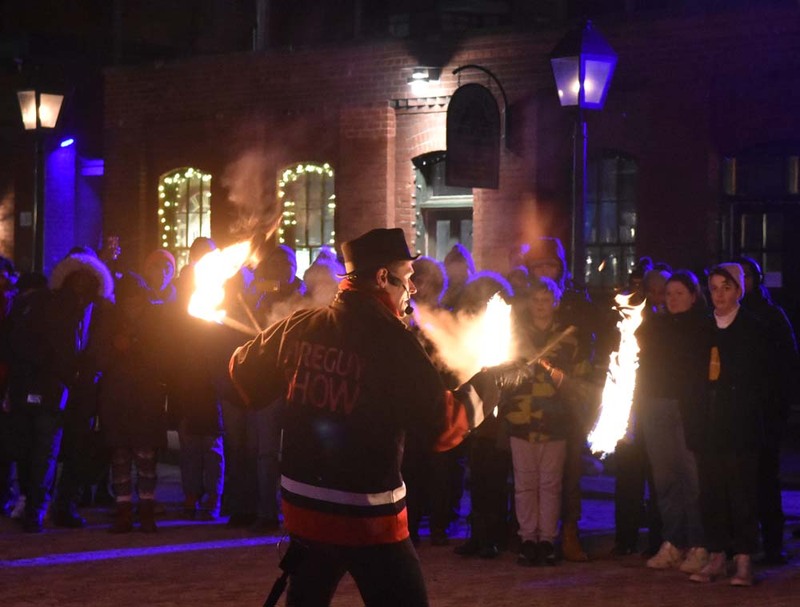 The lights go on at sundown and go to 10pm on most weeknights, 11pm Thursday through Sunday from January 18 to March 3. 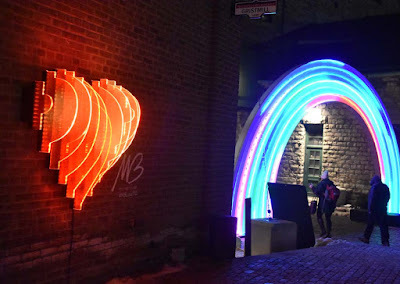 Michael Buble's Edge Lit Heart near the Phoenix Rainbow in the photo at top. There are also a couple of additional light art pieces at the Farimont Royal York Hotel (Stingray 2.0 and Storm in a Tube). 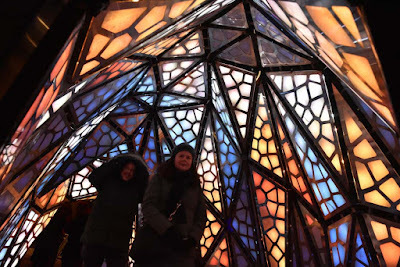 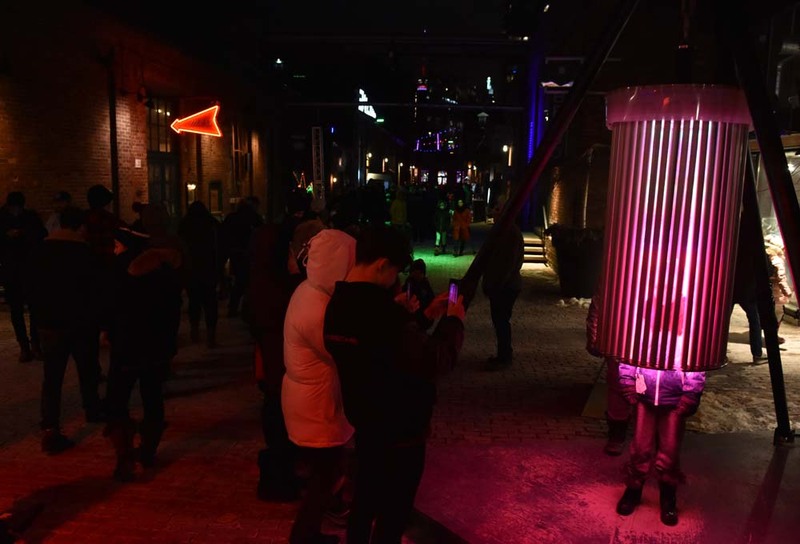 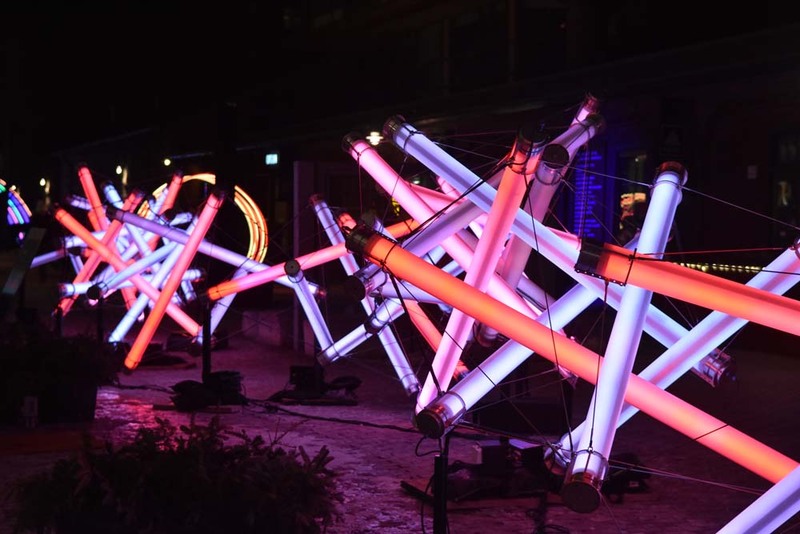 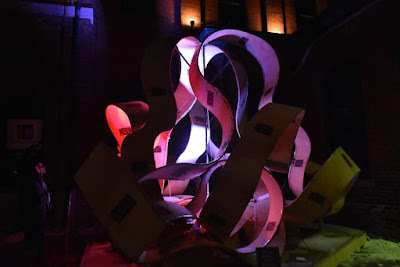 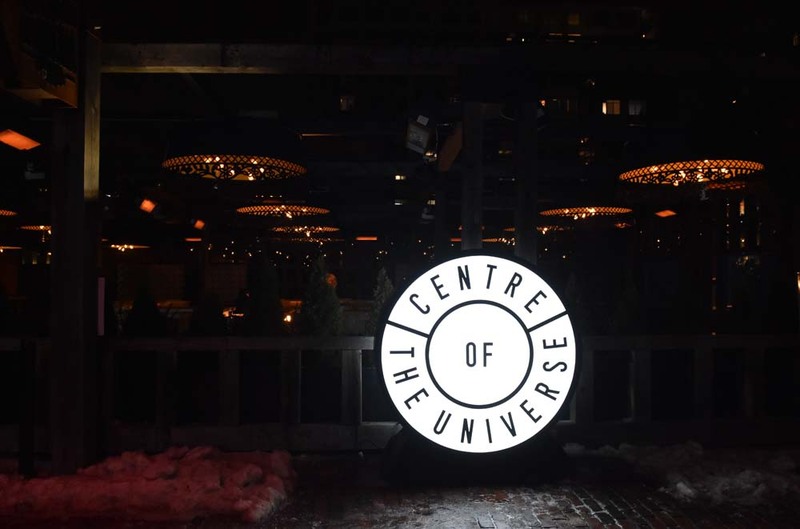 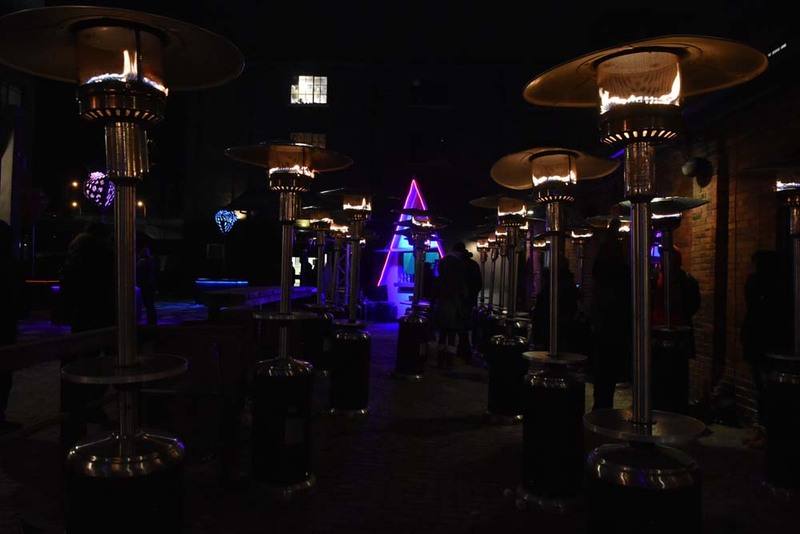 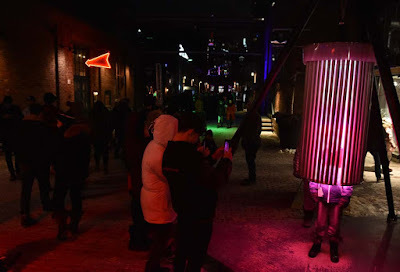 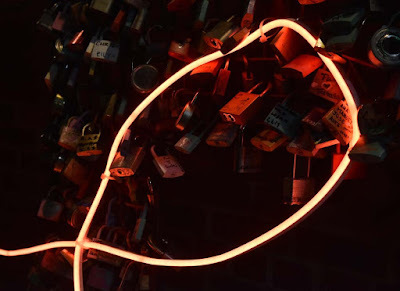 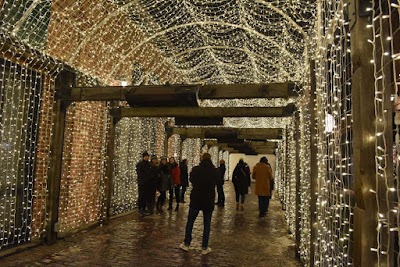 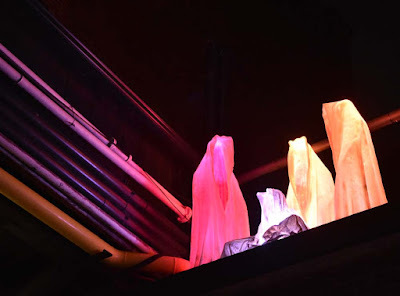 From their website: "During the cold, dark days of winter, The Toronto Light Festival offers visitors a reason to bundle up, get outside and celebrate the season, creativity and life in the big city. 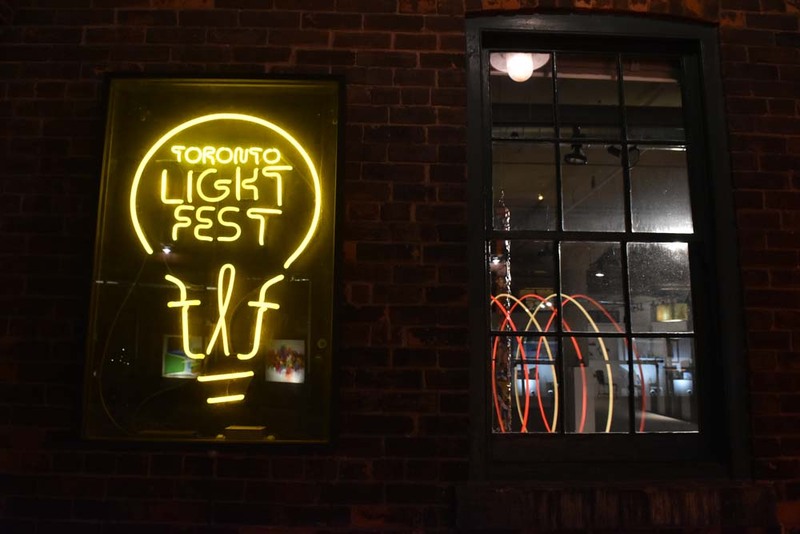 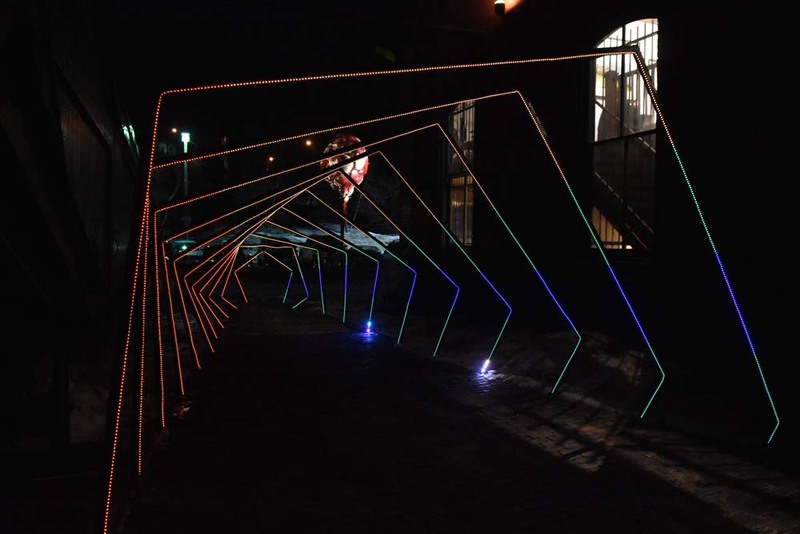 The Festival, now in its third year exhibits local and international light artists. 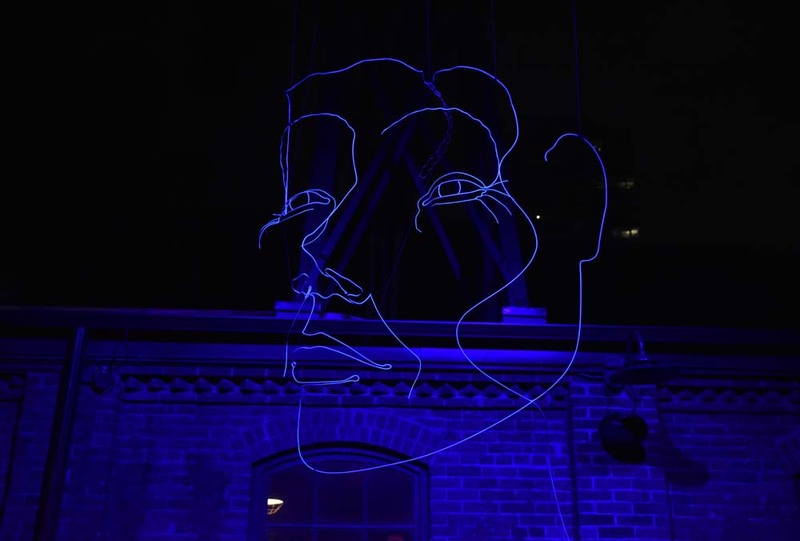 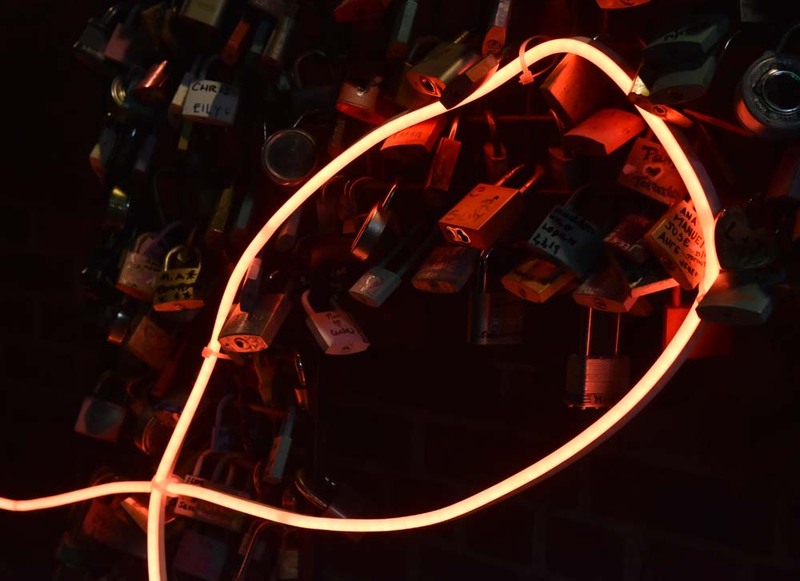 Artworks are curated to educate, warm hearts, inspire or just put a smile on visitors faces." 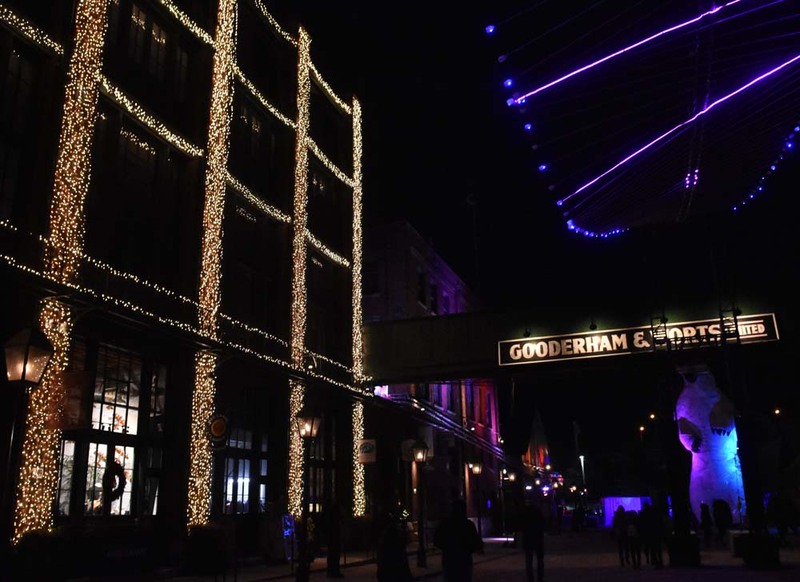 With or without the lights, the Distillery District is a great place to visit in Toronto but this makes it even better. 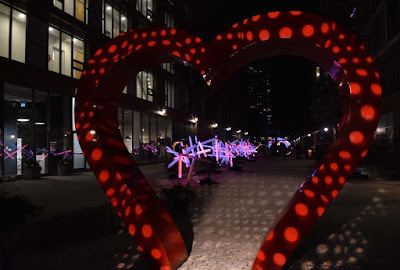 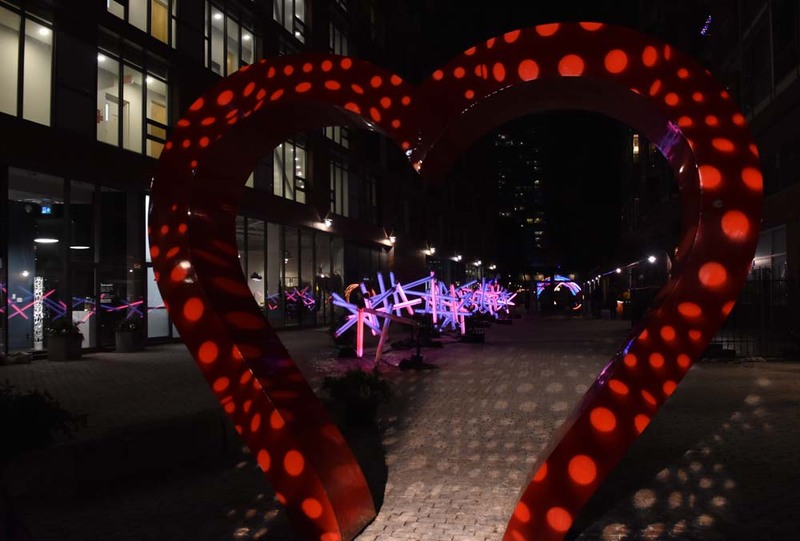 The light festival is free to enter but you need to find paid parking nearby (some in the district, some immediately surrounding the area), or take public transit to the site. See more of the light art after the jump. See photos of the 2018 light festival here and the 2017 light festival here.